Ready, set, slay. 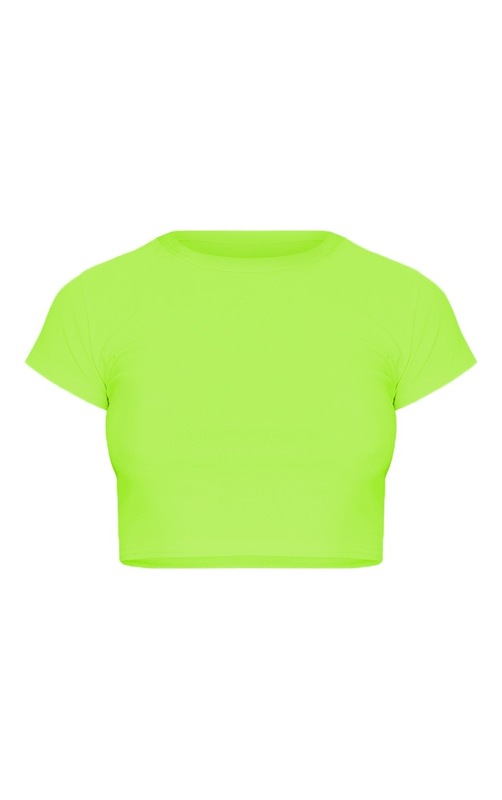 This crop T-shirt is perfect for nights out with your besties. 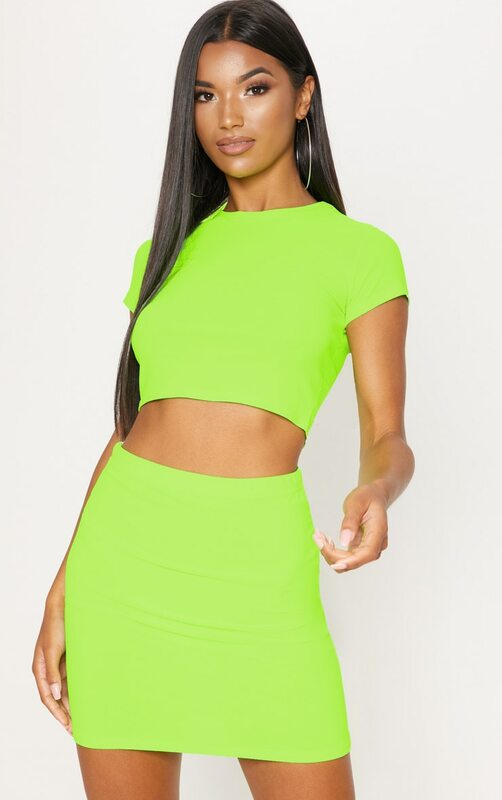 It features a bright lime fabric with a short sleeve design, team with the matching skirt and complete the look with strappy heels.